Almost all of us heard about Mt Everest, the world’s highest mountain situated in naturally blessed land locked country ‘Nepal’. Since it’s located at highest altitude of around 8,848m, Everest Base Camp Trek marks itself as the most challenging adventure on Earth. If you’re willing to go for Mount Everest Base Camp Trek, get ready to bring down all your nerves to sense excitements and fears throughout the journey. This 16 Days Everest Base Camp will put you through unseen, amazing and inspiring views of sky-high Himalayas that appear so close to touching stars. Mount Everest Base Camp Trek will not just let you feel that you’re in a complete heaven, but will also let you experience the beauties and unique Sherpa culture of the people living in this region. 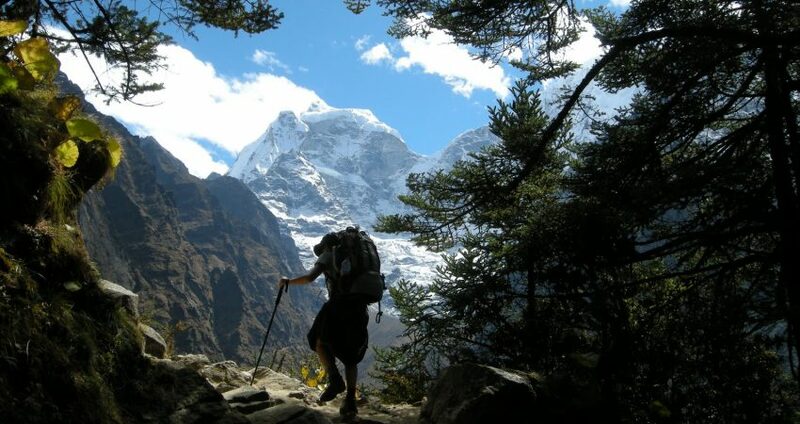 The traditions, religions and hospitalizes you’ll be served with in this Everest Trekking is simply spectacular. Learning about Buddhism, visiting ancient monasteries and the traditional farming system will add milestones to your trek to Everest Base Camp that can never make you feel bored. Day 03: Kathmandu to Lukla Scenic Flight and short trek to Phakding. Day 14: Monju to Lukla Trek. van. It is depend of the group. permits and TIMS Card etc. at Nepal’s Airport in Kathmandu). There are mainly three difficulties that you may face during the trek, altitude sickness, lack of fitness and the cold. Altitude sickness: It’s the most risky one but if you follow the recommendations, is very unlikely to suffer from it so don’t be afraid! It’s recommended to take Diamox pills during the trip, half in the morning and half in the evening until you start going down. This pills are not the panacea but they can help preventing getting sick and reducing the normal headaches. Probably the most important recommendation is to drink a lot of water, a minimum of 3 liters per day. During the trek you won’t notice it but your body can get dehydrated easily. They also say that garlic can help but in general, it’s important to eat a lot during the trek. You can easily lose around 4,000 calories per day while hiking in high altitude so you definitely will need energy. Fitness: If you are physically active (several days per week going to the gym, running or playing sports) you won’t have any problem. If you are not, I would recommend to start working out a few months before the trek, a normal cardio workout. It’s not a very hard one, but the better fit you are, the more you are going to enjoy it. Cold: Can be severe or not, depends on which month you do the trek. We did it in January, one of the coldest months in Nepal so during the night and in the morning, the temperature could easily go down to -20°C. Take into account that most of the tea houses are not well prepared for the cold, they just have a charcoal heater that you need to be almost touching to feel it.. During the high season, around the months of October and April, the temperatures are warmer but still, you can expect cold as well. It’s a very popular trek so there are many international agencies who offer it. Nepal Guide Info and Nepal Planet Treks offer the tour for around 1,150$-1,250$ and could be a good option if you are looking to share the trip with more international travelers. But you can get a cheaper price booking it directly with one of the many local agencies operating from Kathmandu. We recommended you to take a look at the Trip Adviser and Loney planet forums first to get the reviews from other travelers but shouldn’t be a problem to find a trustworthy one.